If you teach an adult Sunday School class, know that your role is significant in both the Kingdom and the life of your local church. However, sometimes this role and expectations are unclear. Here are three components of your role as an adult Sunday School teacher. A teacher is a shepherd. If you read Psalm 23 and John 10, you see the role of our ultimate Shepherd. This model in Scripture reminds us that a good shepherd guides, protects, and cares for his sheep. As you teach in adult Sunday School, shepherd the people in your class. 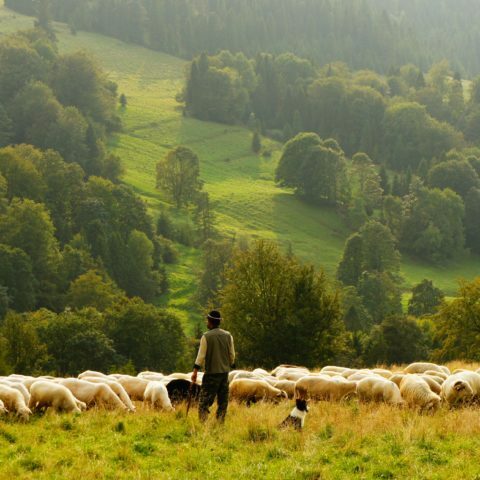 While each of these three components is valuable, your role as shepherd is most important. A teacher is a facilitator and guide. When most people hear “teacher,” they think about someone who helps people discover and learn. That’s also part of your role as an adult Sunday School teacher. You help facilitate and guide your class to discover, learn, and apply God’s Word. This means that you are a learner yourself. As you guide your class in studying God’s Word, you should be the most enthusiastic learner in helping people discover the content, context, and treasure of what to do with Scripture. A leader is someone who intentionally guides people on a specific journey and toward a pre-determined destination. You must lead your adult Sunday School class to focus on being disciples of Jesus Christ. It’s not just about learning Bible facts. It’s growing together through God’s Word to help your people become more like Jesus Christ. Part of this responsibility is also helping your people to make disciples of others in their spheres of influence. The longer a class stays together, the more likely it is that you don’t invite new people into your group. Your job as leader is to guard against this closed group mentality and equip your people to intentionally invite new people and fulfill the Great Commission as a Sunday School class. Adapted from Training Pathway: Adult Sunday School. For this month only, get a FREE book bundle with Ministry Grid purchase! Details available here.